Arrington builds engines using existing HEMI engine blocks (5.7L and 6.4L) and all new moving parts. Our NASCAR-experienced engine builders use forged components and race-proven technologies to provide the best combination of performance and reliability available. 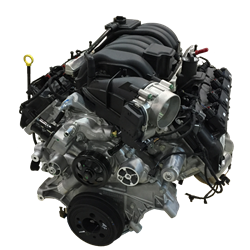 Our engines come with a 3 year / 36,000 mile warranty. Additional displacement sizes are available - please call for info. 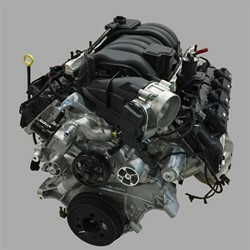 The Arrington 6.4L-based 426 HEMI Stroker is built entirely on forged components and can be used naturally aspirated or boosted in applications up to 1000 HP.Other displacements are available based on the 6.4L block, including forging the 6.4L/392 engine without increasing displacement, or expanding up to 448 cubic inches.Note: NO CORES required -- call if you are upgrading and want credit for trading in your existing engine.